DREAMWEAVER TEMPLATES - Now Free ! Download Today! We offer a huge variety of professional website designs with neat, beautiful layouts, striking color combinations and high quality photographs. Take a look at our attractive, colorful, smart and beautiful designer Dreamweaver web site templates. Our template categories include Business & Corporate, Professionals, Personal, Photography, Travel & Holiday, Food & Restaurant, Learning & Kids, Family, Real Estate, Sports, Health and Beauty, Government, Christian, Animals & Pets, Interior Design, Music and more! 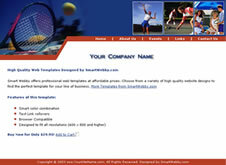 Professional logo design templates for business, music, nature, sports, real estate, networking and more! Ready-made logos designed in Fireworks and also exported as .psd files. The final logo download will contain the .png(Fireworks) and .psd(photoshop) source files at 300 dpi. We have an amazing range of Flash photo galleries - both static and dynamic. 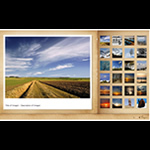 These are stand alone photo galleries that can be added to any html page. You don't need to have Flash to use these galleries as images are loaded externally and text is added in an xml file which can be edited in any text editor. Preloaders are added for the images. The dynamic Flash & XML Photo Galleries give you the capability to add unlimited images.